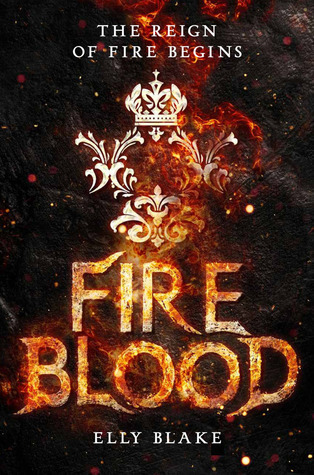 Ruby is a Fireblood, a girl with the ability to manipulate heat and flame who has hidden that skill all her life to keep her safe in the land ruled by Frostbloods. Captured by the king's forces after her mother is murdered in front of her eyes, Ruby is destined to spend what remains of her life imprisoned... until the day that rebel Frostbloods come to seek her help to overthrow their king. So, months ago, Rachel told me I needed to read Frostblood because she thought I'd enjoy it as much as she did. And she was right! 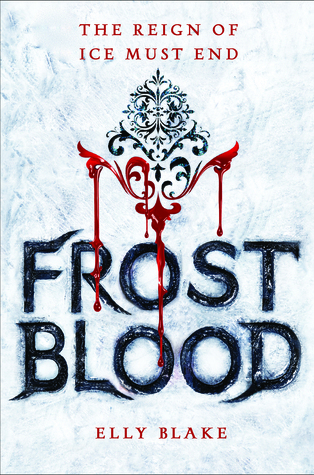 Frostblood is a young adult fantasy that falls on the lighter side, a fun read despite its similarities to other YA books. I was really hooked on it for two reasons: 1) the characters (Ruby, who had to grow on me, and Arcus, who I fell in love with at first sight) and 2) the lore of Firebloods and Frostbloods, and how that played into the main tale. It's a really quick read, and once I finished it, I was looking forward to diving into the next one. Speaking of sequels, I dove straight into Fireblood after reading Frostblood because I was lucky enough to have an early copy of it. I won't really tell you anything about this one, except that Ruby is obviously dealing with the consequences - good and bad - of what happened in the first book. I actually really enjoyed this! Even though I wasn't necessarily glued to the pages (at least, not initially), I still found the overall experience really satisfying. It still had a lot of similar tropes to other YA fantasy reads, sure, there's no denying that. But I was emotionally invested in Ruby and her story, so I experienced the highs and lows as I kept on reading. (Seriously, Rachel can attest to the numerous all caps texts I sent her as I read it.) It was definitely a strong addition to this saga, and I am quite looking forward to reading the next one! 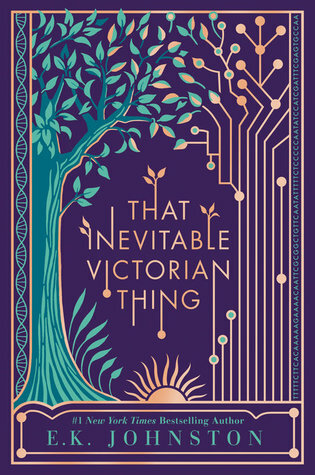 That Inevitable Victorian Thing is set in a world where the British Empire still reigns supreme and technological advances that include a network that shows you your genetic makeup and your 'best' matches in one go; it's also about three different teens. There's Victoria-Margaret, heir to the throne who is being given the gift of a summer of relative anonymity and freedom. There's Helena, daughter of a prominent geneticist who is facing her own internal struggle. And there's August, heir to a powerful shipping and lumber firm who has business problems to try and handle. Over the course of a summer, all three of their lives come together in unexpected ways. Now, on the one hand, I thought it was a fascinating 'what if' experience to read about. It's interesting to see how Johnston imagined the world that would come to be if the British still reigned and technology advanced further. The novel is also written in a way that gives a few nods here and there to Regency romances, which I personally loved. I also found each of the three characters pretty palatable, and didn't mind switching between their points of view as the story progressed. However, I did feel like there were a lot of time jumps, a distinct lack of development in certain relationships and a very abrupt ending - which ultimately affected my overall feelings about this one.